Eight years ago, Uber started its bold idea of transporting people to different locations using its service levels like UberX and UberPOOL. The California ride-hailing firm reached great heights in just a short amount of time because of its good service. 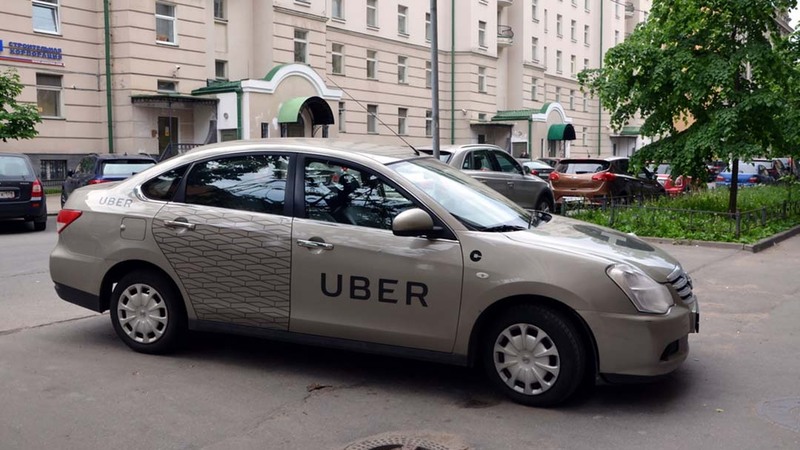 But despite the victory, Uber is the subject of protests and legal actions. This downfall from Uber made competitors such as Via Transportation go further in the industry. Via is an American real-time ride sharing and transportation network company. Just recently, a new dilemma struck the popular ride-sharing company headquartered in San Francisco, CA. Despite its success and having operations in 633 cities all over the world, the global transportation company has become the subject of legal actions, protests, and bans in various locations. The Transport of London, a local government body accountable for the transport system in England, recently prevented the renewal of private hire license of Uber’s application. The decision not to recommence Uber’s private hire license follows a case back in 2016 when two Uber drivers complained to a United Kingdom (UK) employment tribunal. According to the drivers, they should be treated as employees and not as contractors because Uber controls their actions. The startup company did not waste any time and launched an appeal, arguing that the drivers are self-employed rather than workers of the company. It is not the first time that Uber experienced its share of downfalls. The company has faced different issues like discriminating against drivers based on their gender and the resignation of a General Manager from their UK headquarters. Another negative Uber incident occurred when a female British driver brought a case against the company in an employment tribunal, saying that the Californian ride-hailing firm is putting her and other women at risk because of their application feature. She discussed that drivers do not know the passenger’s destination, which is somewhat dangerous for reasons that the drop-off area might either be unsafe or remote. The female driver added that drivers don’t have a choice if they want to cancel the journey. She also mentioned that they may receive low ratings and complaints when they ask aggressive passengers to leave the car. Reports on assault incidents have also hindered Uber from reaching its prime. It was even disclosed that 32 claims of sexual assault were made against Uber drivers in London over the past twelve months. A mandatory English essay test has also become an issue for Uber – there is a requirement in London where private hire drivers should pass the English test. This prompted the startup company to appeal against the plan, saying that many of their drivers will lose their jobs if the tests proceed. Lastly, the resignation of Jo Bertram, the General Manager of Uber UK, created a huge question mark to the company’s reputation. Despite having a great run, Bertram’s leadership was also peppered with controversies. The operation of Uber UK is now shaky knowing that the company has no proper boss. In the meantime, Tom Elvidge, the General Manager of Uber London, is acting as the Uber UK’s General Manager. 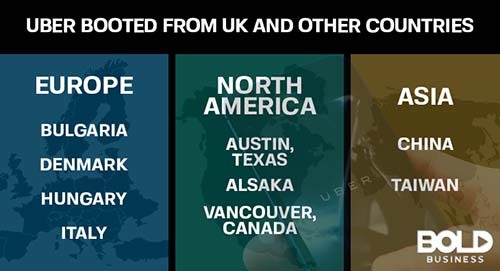 The UK is not the only country that experienced a problem with Uber. In Europe alone, countries like Italy, Denmark, and Hungary also shared the same sentiment. Italy temporarily issued a nationwide ban on Uber until the company won their appeal. A new taxi law in Denmark forced the company to pull out from the country as well, similar to what happened when new regulations forced Uber to suspend its service in Budapest, Hungary. In the United States, Alaska is one of two states Uber was pulled out, with Texas as the other. For Alaska, it was the same reason as London’s, on whether drivers were considered as registered taxi drivers or independent contractors. The company ended up paying the Alaska Department of Labor and Workforce Development a total number of $77,925 because of the complaint. For Texas, specifically in Austin, Uber pulled out of the city (along with another ride-hailing app called Lyft) due to mandatory fingerprint-based background checks on their drivers, as well as banning passenger pickups in traffic lanes. The startup company got into another controversy when they did not participate in a taxi strike in New York City, which was intended to oppose Donald Trump’s Muslim ban. This downfall from Uber made competitors such as Via Transportation go further in the industry. Via is an American real-time ride sharing and transportation network company. The company was established in 2012 and started its journey in New York City, and was later brought to Chicago and Washington DC. Via has the capability to take over Uber because it charges users a flat rate for a ride, depending on the state. It is also much safer in Via because users can call the live support team in case of emergency. Taiwan and China are just two countries in Asia that also had issues with Uber. Taiwan gave the company a two-month suspension. In China, the California ride-hailing firm was being defeated by its Chinese competitor, Didi Chuxing.